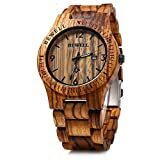 i Click 'view all' to instantly compare this good deal with offers on other top men's watches. 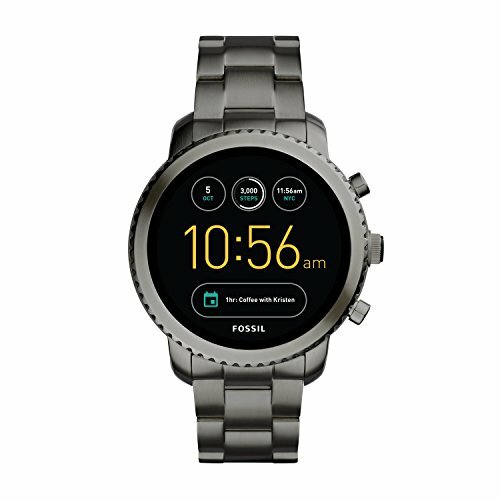 Fossil Q Gen 3 Smartwatch - Smoke Explorist is currently selling at $275.00, approximately $9.02 lower than average, giving a potential saving of $223.00 right now. With a lowest price of $255.00 and an average of $284.02 it is selling on the low end of its usual range. Price volatility is 0.74% (meaning it does not change often), so the price should stay low for a while. Right now this product is a recommended 'good deal'. 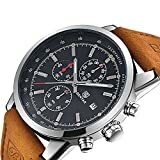 Compare the current price, savings (in dollars & percent) and Buy Ratings for the top Men's Watches that are closely related to Fossil Q Gen 3 Smartwatch - Smoke Explorist. Here is how Fossil Q Gen 3 Smartwatch - Smoke Explorist compares with other leading Men's Watches. FeaturesStay connected with display notifications and touchscreen functionality for texts, calls, emails, and app updates. Our smartwatches use Bluetooth technology to connect to your phone.Case Size : 45 mmWith built-in activity tracking, you can track your everyday accomplishments including steps, distance, and calories burned. Automatically syncs to your phone so you can keep tabs on your activity and notifications without ever pushing a button.Control your music on your favorite music player. Use the built-in microphone and speaker to do a variety of tasks on your smartwatch using just your voice. (Voice compatibility with Android OS 4.3+ only. )Effortlessly charge your Fossil Q by placing it on the inductive charging magnet (included). This wearable has an estimated 24-hour battery life, based on usage. Do not use a USB hub, USB splitter, USB y-cable, battery pack or other peripheral device to charge.